Publishers of short science fiction, fantasy, and pulp adventure novels and anthologies. $1200.00 from sales of ASSEMBLED! to the HERO Initiative at HeroesCon in June 2008! 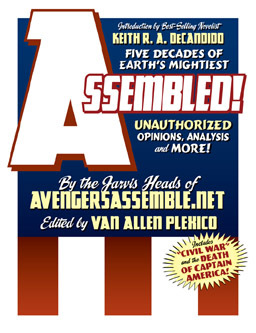 "A fine read for any Avengers aficionado, and an overall handsome package." "This book certainly delivers in every way." up some trades of ones I don't. There's not much better praise than that." reference pieces, and much more. Created by the Jarvis-Heads of AvengersAssemble.net. > ORDER NOW from AMAZON.com! > ORDER NOW from Barnes & Noble! The Jarvis-Heads break down the greatest (and not-so-greatest!) eras of Marvel's Avengers comic, discussing the good, the bad, the groundbreaking, and what just plain broke their hearts. Articles cover everything from "Cap's Kooky Quartet" to New Avengers, the Ultimates , Thunderbolts, and beyond. 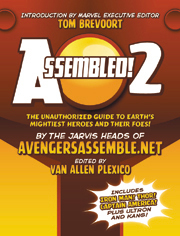 Other features include a deluxe Avengers chronology and year-by-year highlights covering the team's adventures since 1963! Sean McQuaid, Ian Watson, David Medinnus, Rob Clough, Adrian Watts, Mark Beaulieu, Mark Bousquet, Trace Shelton, John Warren, Scott Harris, Danny "Ozbot" Wall, David Wright, George Kopec, Joe Crowe, Mark Squire, Bob Fronczak, and more! 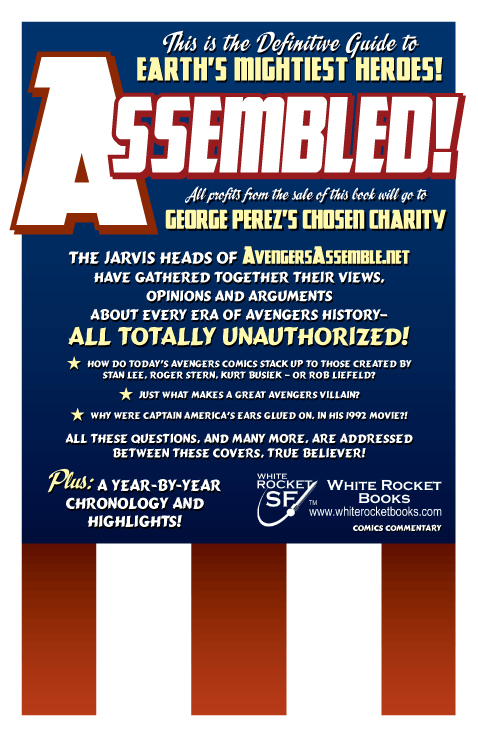 Read the Silver Bullet Comics Interview with Van about ASSEMBLED! fanaticism as seriously as Van & the Jarvis Heads. And ASSEMBLED! & creator over the decades, this book certainly delivers in every way." WhiteRocketBooks and the WhiteRocketSF logo are Trademarks of and are Copyright 2008 by the owners of the WhiteRocketBooks consortium.